The film will be playing in theatres starting next weekend. A full list of theatres can be found on the Eleven Arts web site. If you’re not lucky enough to have the film showing in your city you will still have a chance to see it when it’s released on video in April. Do you plan on picking this release up? This entry was posted in Merchandise, Sailor Moon Anime (1992) and tagged DVD, Right Stuf, Sailor Moon R The Movie, Viz English Dub by Adam. Bookmark the permalink. WHAT! No Blu-Ray!? As a fan I am raging about this. This means no HD or 5.1 surround sound. Nevermind, I just checked and it IS on Blu-Ray. I guess it was just updated on the site a bit ago. There’s now a Blu-Ray/DVD Combo available. I was actually at the premiere. They were selling all the current seasons of Sailor Moon, a pre-order of the Sailor Moon R movie with free Sailor Moon R the movie poster and character card, and exclusive Sailor Moon R movie T-shirt. 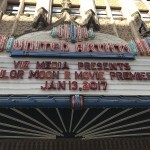 There was also an Q and A with the cast; and the CMO made and appearance there and apparently Sailor Moon R the Movie was the first time ever that an anime movie was playing at the Ace Hotel Theatre, and they hoped more would play there. Sounds like a great event. I’m glad Viz went all out for this one. 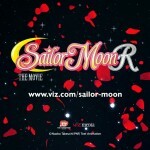 Was the art on the post the silhouette of Sailor Moon? Well the art for the poster is the same as the picture in the post. The art for the box was different. 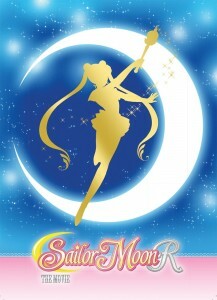 If I remember correctly, the art for the box was Sailor Moon performing Moon Princess Halation, but it was not a silhouette. Also the shirt was of all the items that Sailor Moon and the Sailor Guardians have in season 2, such as the transformation wands and crystal star brooche. Wait I’m wrong, the shirt was a Sailor Moon S shirt. It has the all the transformation items of the sailor guardians on it and it says Sailor Moon S.
Cool. Look forward to seeing it! Viz is really working their asses off here. 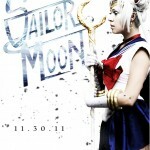 We still are getting Sailor Moon S part 2 sometime this Spring right? That’s 3 releases in a short time. 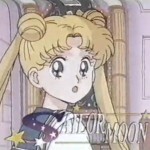 The only thing in Sailor Moon world that interests me is whether and when there will finally be 4th season of Crystal! 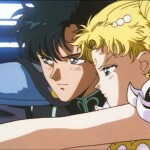 I am really starting to consider the new Anime as dead… Don’t you? This is certainly my biggest concern right now but there’s really been no news to report on. Waiting anxiously with my optimism slowly fading but still somewhat intact. I’m not concerned the new anime is dead, especially with the much better reception of the 3rd season. This same thing happened last year- the show ended, an announcement image about season 3 was accidentally leaked a few months later, and then we didn’t hear an actual announcement for months. Toei is notorious for moving slow and seemingly purposely keeping fans in the dark for some shorsighted reason… I’m sure we’ll be hearing an announcement about an announcement about an announcement for the new season in the next couple of months and that they’re going to see this cash cow through to the end. If we don’t hear anything until April, then I start to worry. Not interested. The Pioneer version (in this case, the edited VHS dub) will always be THE R movie for me.